Child: I finally finished my last college course and will be graduating! Me: That is great. How did the class go? Child: Got a D. Yeah, but you know what they say? D is for diploma! Traditionally, a grade of D is nothing to brag about. It reflects minimal effort at best. 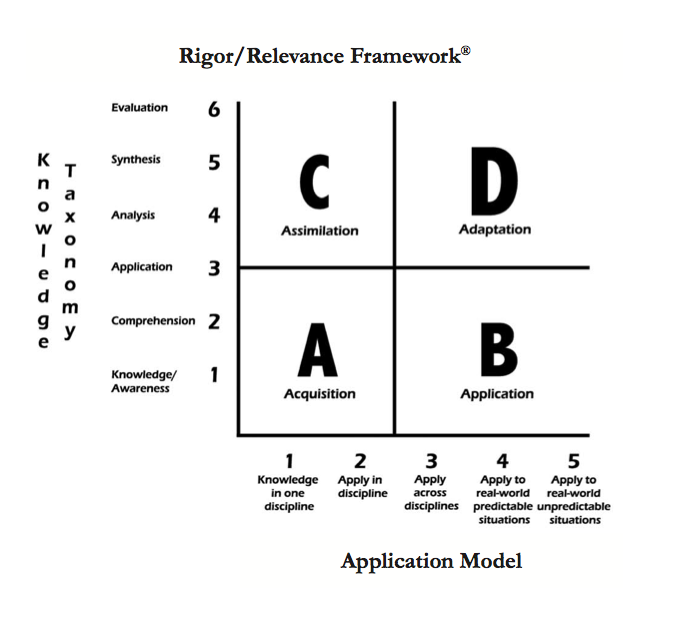 But there are times when a D really is a great thing such as when the D refers to QUADRANT D of the Rigor and Relevance Framework. In that case, I will take this D any day of the week!